Alan Knipe repeats as conference coach of the year, while opposite Kyle Ensing wins the player of the year award after outside attacker TJ DeFalco won last year’s award. Ensing leads the Beach with 3.53 kills per game, and is second on the team with .523 aces per game and a .356 attack percentage. Among his achievements this season, he recorded a career-high 27 kills in a victory at then-No. 3 UC Santa Barbara on March 14. He has surpassed the 300 kill mark in all four seasons with the Beach. Ensing currently ranks No. 11 in the school career record book with 1,363 kills and is tied for No. 4 with 130 service aces. Ryan Wilcox was named 2019 Big West Freshman of the Year, but also tabbed with Big West Honorable Mention honors. Wilcox was named Big West Freshman Player of the Week four times this season, and ranks second on the team in kills (232) and digs (109). Hawai’i led all schools with five players on the 2019 Big West First-Team, followed by Long Beach State with four selections. Ten of the 14 players on the First-Team are repeat honorees. 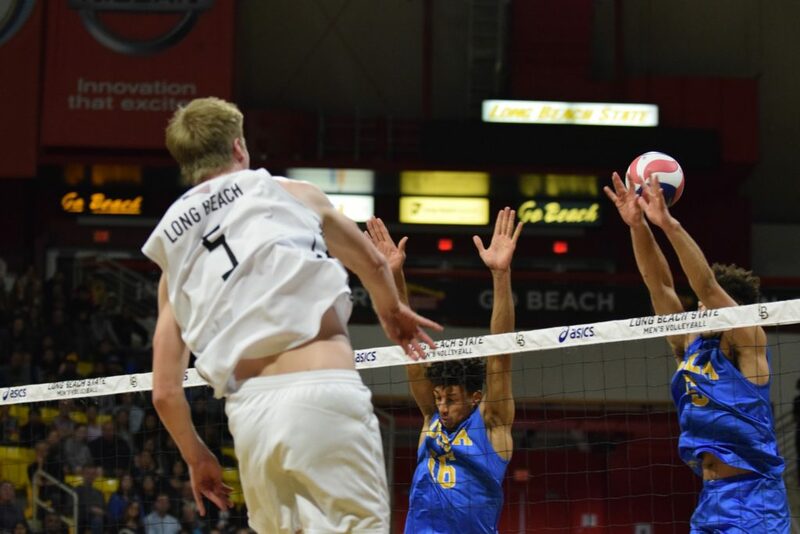 In the two seasons that the Big West has sponsored men’s volleyball, Long Beach State is 53-3 overall and 19-1 in conference under Coach Knipe. The Beach has now won 41 straight at home after defeating No. 1 Hawai’i in back-to-back matches this past weekend.